It wasn’t the tolls per se that violated the state’s constitution, but the profit they will generate for a private company. That’s the gist of the argument that opponents of the Midtown Tunnel project are using to try to get the Supreme Court of Virginia to take another look at their case. The plaintiffs filed a petition for a rehearing on Tuesday, less than four weeks after the Supreme Court unanimously issued a ruling that cleared the way for tolling of the Midtown and Downtown tunnels to begin Feb. 1. They cannot appeal the matter to the U.S. Supreme Court because there is no federal issue in play. Petitions for a rehearing are rarely granted, and the chances of one leading to a reversed decision are rarer still, according to Steve Emmert, a Virginia Beach appellate attorney who closely follows state Supreme Court actions. “Typically a petition for rehearing gets granted roughly 1 to 1-1/2 percent of the time,” he said, though he noted that four or five have been granted in the past 18 months, which is more than usual. It takes one justice to grant a rehearing. If that happens, four justices would have to change their positions to reverse their original ruling against the plaintiffs. 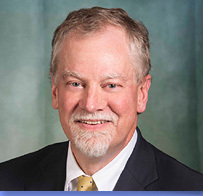 The plaintiffs’ lawyer, Patrick McSweeney, argued in a 12-page petition that the justices misapprehended their argument by “mistakenly” treating their challenge to the tunnel tolls as a challenge to traditional toll-setting, rather than to the profit the tunnel tolls will generate for Elizabeth River Crossings. The company has committed up to $272 million in equity to help finance a $2.1 billion deal with the state that will build a second Midtown Tunnel tube, extend a freeway in Portsmouth and refurbish the existing tunnels. Elizabeth River Crossings is authorized to earn an average annual return of 13.5 percent on its investment over the life of the 58-year deal. The Supreme Court ruled Oct. 31 that the Virginia Department of Transportation had sufficient authority under the state’s Public-Private Transportation Act to strike a deal with Elizabeth River Crossings and set the tolls, which the justices deemed to be user fees and not taxes. McSweeney contends in his petition that authorization of the company’s profit via tolls is a wholly legislative function that may not be exercised by VDOT. In the rare cases where the Supreme Court grants a rehearing, the most common result is a new opinion that massages troubling language from the justices’ original ruling or clears up a potential unintended consequence, Emmert said. It’s less likely that the ruling is reversed, though that has happened, he said. Based on past cases, the court likely will announce whether it will grant a rehearing in mid-January, Emmert said. Meanwhile, a number of the plaintiffs last week filed a complaint against Justice William C. Mims with the Judicial Inquiry and Review Commission. They contend that he should have recused himself from hearing the case. They list five reasons, including his support as a state delegate and senator in the 1990s and early 2000s for legislation that supported public-private partnerships; his time as chief deputy attorney general, when his office defended what the complaint calls a related case in Northern Virginia; and his time working as a lobbyist in early 2010 with the law firm Hunton & Williams, which represented Elizabeth River Crossings in the tolls lawsuit. When that history was reported in September, a spokeswoman for the office of the executive secretary of the Supreme Court said Mims did not represent any clients during his time with Hunton & Williams on matters relating to public finance in general or to the Public-Private Transportation Act in particular.